Check out how having multicultural members on your team and sending team members overseas can affect your productivity. I wrote recently about the productivity boost organizations receive when employees work outside their native land. This trend towards increasingly multi-cultural teams not only benefits us as individuals, but the diversity brings innumerable benefits to us collectively. Research has previously shown, however, that as diversity increases, the coordination costs increase, too. This can hamper attempts to collaborate or even work effectively as a team. It suggests a cultural sweet spot upon which peak productivity sits. A recent study explored this issue in more depth to find out how the cultural background of team members influence how they work together. 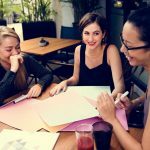 The research suggests that people from a multi-cultural background can play a crucial role in brokering the connections required for diverse teams to thrive. These "cultural brokers" come in two main forms. Cultural insiders were defined as people who share a cultural background with at least one other member of the team, whereas a cultural outsider was one who did not. It's easy to assume that cultural insiders would be much more effective brokers than outsiders, but the evidence didn't support that. What mattered most of all was the mere presence of a multicultural individual, regardless of whether they were an insider or an outsider. Teams with this added diversity consistently outperformed mono-cultured teams. When the actual team dynamics were analyzed, it emerged that the two types of broker connected up their teams in different ways. Cultural insiders would integrate ideas from different cultures, but the cultural outsiders would elicit ideas from different cultures instead. In other words, insiders would combine information and ideas from their team into something unique, whereas outsiders would utilize a much more participatory approach, with information and ideas drawn out of their teammates. Two subtly different approaches, but the results are clear. Having a multi-cultural team improved the performance of the teams by roughly 28%. With this study suggesting that multi-cultural teams are more creative and productive, perhaps the next question is what can organizations do to capitalize on this finding? The obvious start point is to encourage employees to take on overseas assignments. Finding the right candidates for such assignments is not always easy, however. A recent study from Florida Atlantic University suggests that there are specific personality types that tend to thrive on overseas deployments. "Oftentimes, expatriates have difficulty adjusting to this new environment. They can suffer poor well-being, experience conflict between their work life and family life, perform poorly and turnover," the authors say. "All expatriates are different. Maybe some are more adept to adjusting effectively where others aren't. We wanted to understand what characteristics of expatriates make them more or less likely to adjust effectively." When they explored matters according to the five key personality traits of emotional stability, openness, extroversion, conscientiousness, and agreeableness, it emerged that three of these had a considerable impact on the subsequent success of the expatriate. The data revealed that those who responded best to overseas assignments tended to be extroverts who were emotionally stable and open to new experiences. The authors suggest this is because extroverts are better at forming new social networks that help them with both the informational and emotional aspects of adjusting to a new culture. Emotional stability was also crucially important, however, as the whole experience of adapting to a new culture can be incredibly stressful. "Having strong emotional reactions to these types of stimuli acts as a barrier to effective adjustment," the authors say. "People who are very emotionally stable, they're not as affected by the culture shock and the various stressors that are faced on assignment; they are much more even-tempered and this helps them to adjust better in the face of these various stressors." Lastly, openness to new experiences was also important as you often fail to understand how to interpret unfamiliar behaviors. Those with high openness to new experiences would regard such things as novel and enjoyable. Sending employees overseas can be a significant investment. It's crucial, therefore, that you only choose people who are well-suited to such a task as they will be required to adapt to new environments whilst also maintaining high levels in their day job. As such, personality tests should be included as part of career development processes to ensure the right people are selected. Indeed, the authors believe that their findings could also be valuable for individuals who think that an overseas assignment is something they want to try. "The stakes are very high, and that's why we think it was so important to go beyond the existing research and look at the dispositions of people on foreign assignment," they conclude. "Expatriates have their own characteristics that they bring with them, and these characteristics impact how they react to the various stressors faced on assignment and the behaviors they engage in overseas that have implications for adjustments." Developing multi-cultural teams can yield tremendous results, but it needs careful management in order to get it right. Hopefully, this post will help to guide you down the right path towards achieving that. What Role Does Technology Play in Productivity?